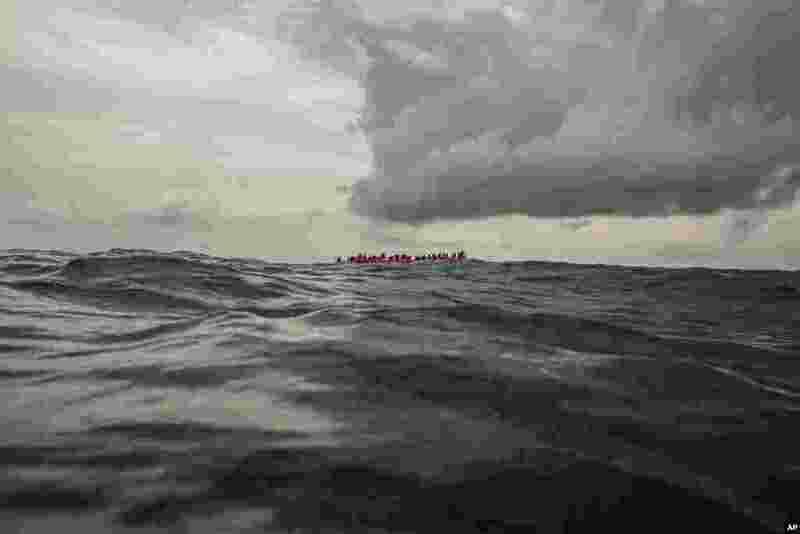 ١ Refugees and migrants wait to be rescued by aid workers of the Spanish NGO Proactiva Open Arms, after leaving Libya trying to reach European soil aboard an overcrowded rubber boat, 60 miles north of Al-Khums, Libya. 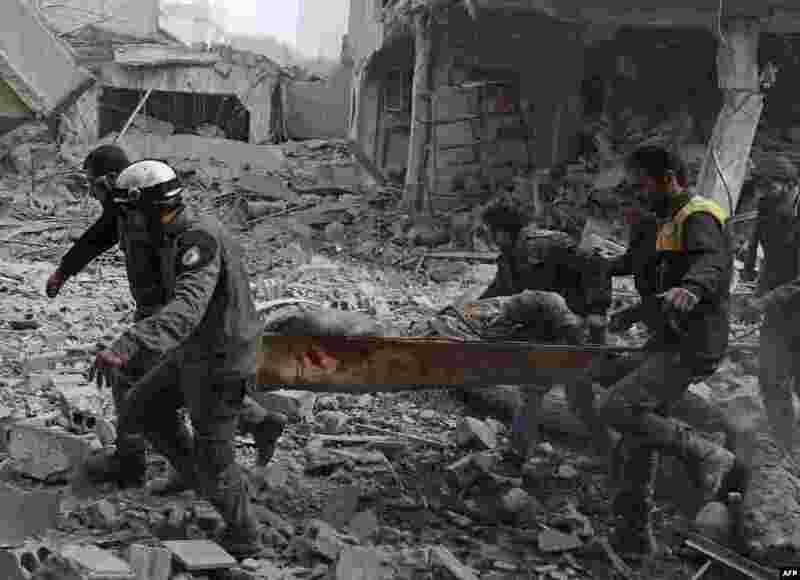 ٢ Members of the Syrian civil defense evacuate an injured civilian from an area hit by a reported government airstrike in the rebel-held town of Saqba, in the besieged Eastern Ghouta region on the outskirts of the capital Damas. 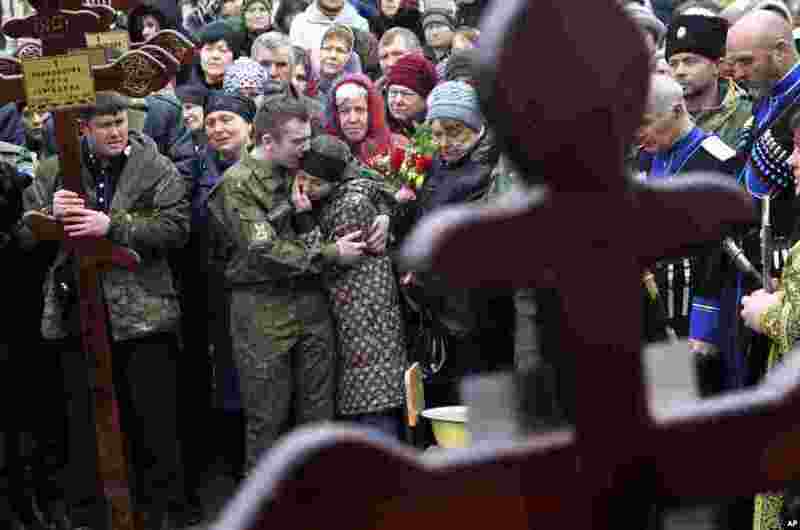 ٣ Family and friends of victims of the deadly attack on churchgoers in Russia's predominantly Muslim Dagestan region, attend a funeral service in Kizlyar, Russia. 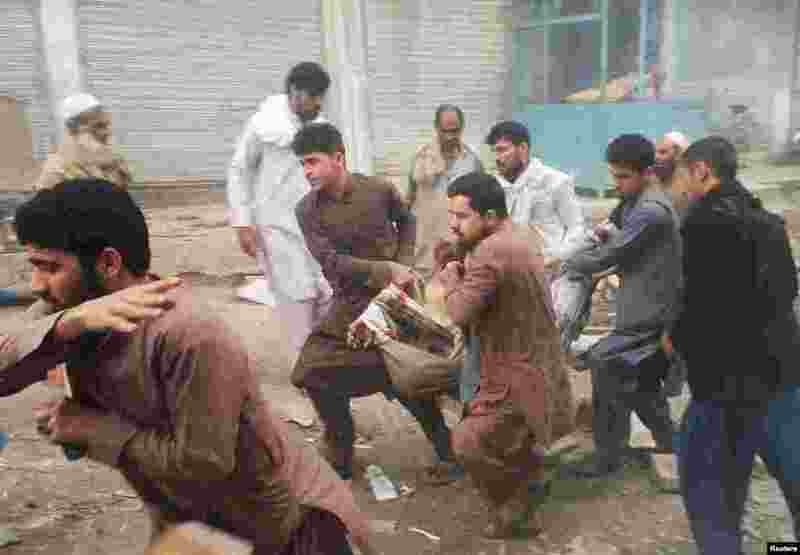 ٤ Afghan men carry an injured man after a blast in Jalalabad.